Situated in the entertainment district, this hotel is within a 10-minute walk of Auditorium and Congress Center Víctor Villegas and Estadio de La Condomina. Murcia Museum of Fine Arts and University of Murcia-La Merced Campus are also within 15 minutes. 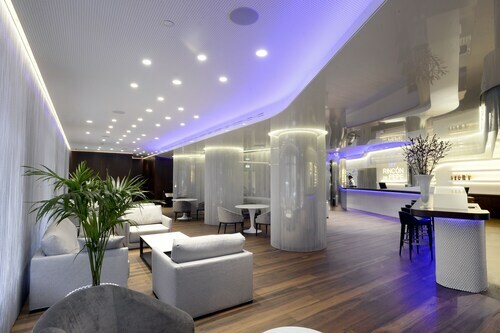 Situated in Murcia, this hotel is steps from Real Casino Murcia, Murcia Cathedral Museum, and Murcia Cathedral. Plaza Cardenal Belluga and Episcopal Palace are also within 5 minutes. Murcia Station is 18 minutes by foot. Located in the heart of Murcia, this hotel is 0.1 mi (0.2 km) from Church of San Miguel and 2.7 mi (4.4 km) from Terra Natura. Centro Para la Artesania and Palacio de San Esteban are also within 5 minutes. Murcia Station is 25 minutes by foot. Located in the heart of Murcia, this hotel is steps from Ramon Gaya Museum, Episcopal Palace, and Plaza Cardenal Belluga. Murcia Cathedral and Murcia Cathedral Museum are also within 5 minutes. Murcia Station is 16 minutes by foot. 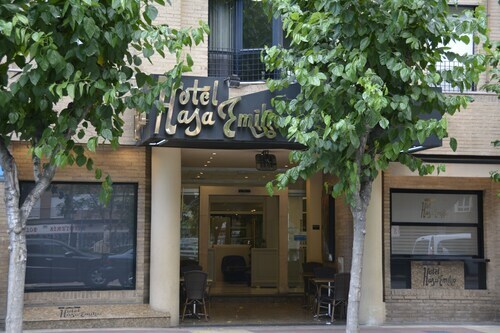 Situated in Murcia, this hotel is 0.1 mi (0.2 km) from Ramon Gaya Museum and 3 mi (4.8 km) from Terra Natura. Puente de los Peligros and Murcia City Hall are also within 5 minutes. Murcia Station is 16 minutes by foot. Located in the heart of Murcia, this hotel is within a 5-minute walk of Real Casino Murcia, Teatro Circo Murcia, and Santo Domingo Church. Murcia Cathedral Museum and Murcia Cathedral are also within 5 minutes. Murcia Station is 21 minutes by foot. 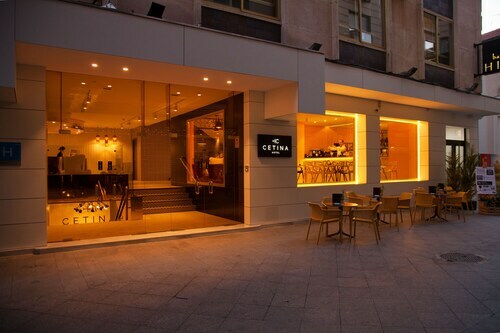 Located in the heart of Murcia, this hotel is steps from Plaza Ceballos, Murcia Cathedral, and Murcia Cathedral Museum. Plaza Cardenal Belluga and Episcopal Palace are also within 5 minutes. Murcia Station is 17 minutes by foot. Situated in Murcia, this hotel is steps from Floridablanca Garden and Museum of Sciencie and Water. Puente de los Peligros and Cuartel de Artillería are also within 5 minutes. Murcia Station is 9 minutes by foot. 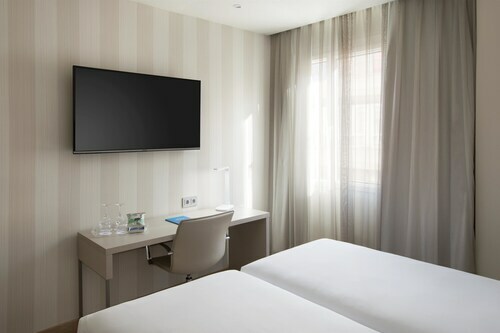 Situated in Murcia, this hotel is within 1 mi (2 km) of Estadio de La Condomina, University of Murcia-La Merced Campus, and Murcia Museum of Fine Arts. Murcia Bull Ring and Auditorium and Congress Center Víctor Villegas are also within 1 mi (2 km). Located in the heart of Murcia, this hotel is within a 10-minute walk of Floridablanca Garden, Puente de los Peligros, and Museum of Sciencie and Water. Murcia City Hall and Plaza Ceballos are also within 10 minutes. Murcia Station is 10 minutes by foot. Situated in Murcia, this pension is steps from Floridablanca Garden, Puente de los Peligros, and Museum of Sciencie and Water. Murcia City Hall and Ramon Gaya Museum are also within 10 minutes. Murcia Station is 11 minutes by foot. Situated in Murcia, this hotel is steps from Floridablanca Garden and Museum of Sciencie and Water. Puente de los Peligros and Murcia City Hall are also within 10 minutes. Murcia Station is 9 minutes by foot. A visit to Murcia City Hall is one sure-fire way to fill up some of your next vacation. It's in Murcia, around 220 miles (354 kilometers) from the country's capital, Madrid. Now and then, less is more, but when you're searching for a hotel you want multiple options. 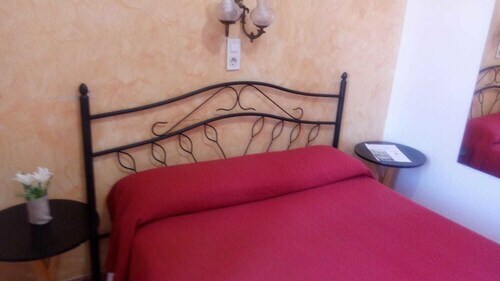 You'll be pleased to know that there are up to 20 hotels and other accommodations within 2 miles (3 kilometers). 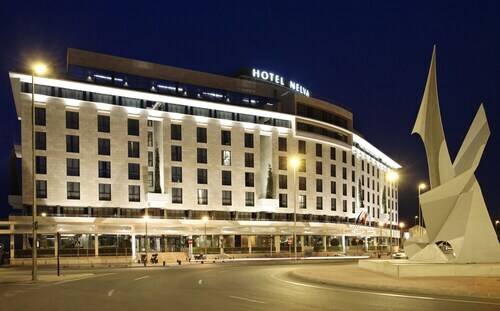 Some choices to consider are the Hotel Nelva, 0.9 miles (1.4 kilometers) away, the Hotel Agalia, 0.9 miles (1.4 kilometers) away, and also the AC Hotel Murcia by Marriott, located just 2 miles (3 kilometers) away. There are a few economical hotels close by that might just be the ticket. These include the Hotel Legazpi and the La Huertanica, which are 1 mile (2 kilometers) and 0.2 miles (0.3 kilometers) away, respectively. Even the most experienced travelers like a little indulgence. Go ahead and spend a few nights at one of the nearby upscale hotels. Consider the NH Amistad Murcia, 0.5 miles (0.8 kilometers) away, or the Occidental Murcia Siete Coronas, 0.3 miles (0.5 kilometers) away. Cafe etiquette varies widely from place to place. Order a coffee and some snacks from El Portal de Belluga, a brief stroll from Murcia City Hall, and enjoy the small differences! A notable dining establishment which is also close by is Restaurante 65 Grados. This place is a good choice if you're especially hungry and you need something a little more indulgent. Anyone who loves a drink should also pull up a bar stool at Terraza Tornasol, yet another short walk away. Make inquiries regarding a guided tour of Episcopal Palace, an iconic local landmark and among the area's must-see sites. You'll enjoy Plaza Cardenal Belluga, a historic public square that's loved by tourists and locals alike. Murcia Cathedral is a Christian church worth visiting if you have time. Tours may require prior bookings. If you're eager to learn something new, Murcia Cathedral Museum may be worth visiting. Admire the impressive bridge that is Puente de los Peligros, and relax as you watch the water flow below. If you are after an easy way to travel to Murcia City Hall, why not take the train? Just hop off at the closest station, Territorial management Renfe, it's just 0.6 miles (1.0 kilometer) away. An alternative stop you can use is Murcia. It's quite close too, at 0.6 miles (1.0 kilometer) away. How Much is a Hotel Room in Murcia City Hall? 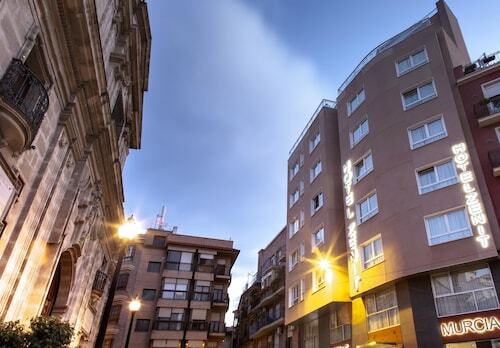 Hotels in Murcia City Hall start at $34 per night. Prices and availability subject to change. Additional terms may apply.